If your laptop is older, adding more RAM (memory) may be the best way to improve its performance. More RAM allows you to run more programs at the same time, and allows for faster overall performance. Want to add more RAM to your laptop? Check out this step-by-step guide. 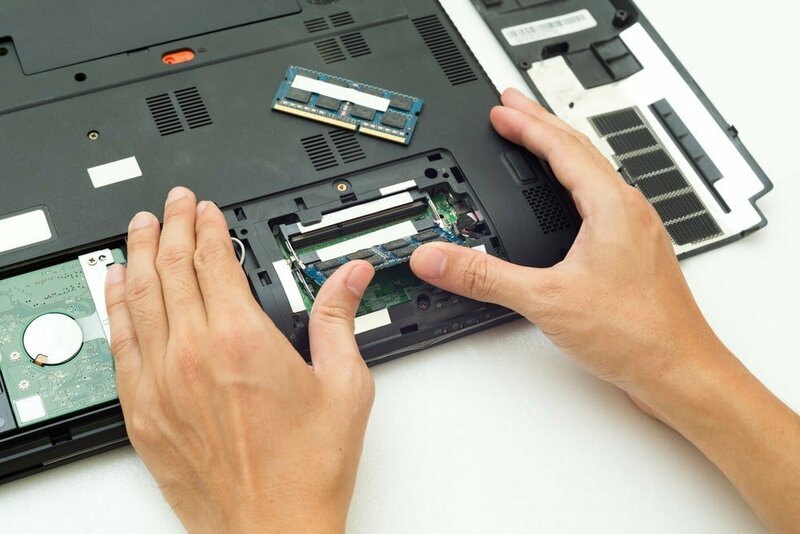 First, you want to find a schematic of your laptop online, so that you can see how easy it is to replace the RAM, and understand the basic anatomy of the computer, so that you know how to remove the RAM sticks and replace them. iFixit is the best resource for this. Just do a quick search for your laptop, and you can find comprehensive schematics and repair instructions. To replace your RAM, you will probably need a computer repair toolkit that includes a wide variety of magnetic bits, including Philips head, square bits, Torx, and other such bits. You will also need plastic spudgers to separate the laptop case, in some cases. This kit is a good example of what you’ll need. Based on your system specifications, you’ll want to order RAM that fits into your computer, and is the same speed and quality as your existing RAM sticks. Most laptops can be opened up by simple unscrewing about a dozen screws from the rear case. Consult with a website like iFixit to learn how you can remove the back of your laptop. Do this in a clean, well-lit area, and keep all of the screws in a bowl or magnetic tray. Unless your RAM is soldered in place, you can usually just remove a few screws, and pop the RAM sticks out of the housing. If your RAM is soldered in place, you should NOT continue this repair on your own. Just pop the old RAM sticks out, and replace them with your new RAM, making sure the new sticks are securely locked into place. Replace the cover and re-attach it. Then, boot up your laptop to make sure the installation was a success. Your RAM should be recognized immediately. Not everyone is comfortable opening up an expensive piece of equipment like a laptop to replace their RAM. So if you need to add more memory to your laptop, but don’t want to do it yourself, just contact us right away! We can handle the entire process for you, and boost your laptop’s performance for a low rate.